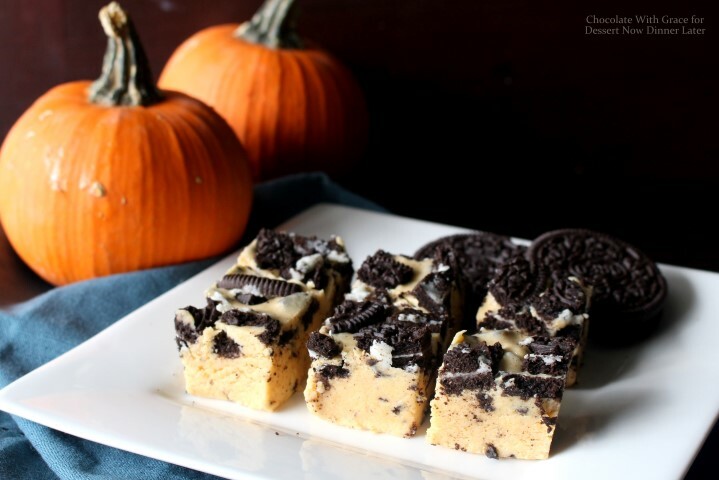 A creamy pumpkin fudge with Oreo chunks. 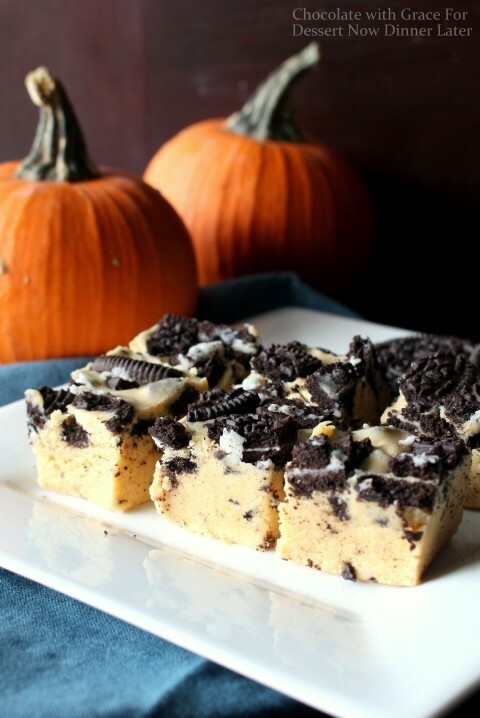 This Pumpkin Oreo Fudge is super easy, no Candy Thermometer required! You can grab the recipe for this Pumpkin Oreo Fudge on my friend, Amber’s blog, Dessert Now Dinner Later.